Crooked or crowded, overlapping teeth can be more than embarrassing. They can also negatively impact your oral health by changing the stability of your bite. This can lead to problems down the road. 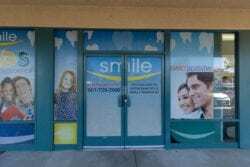 Smile Dental Group is a West Lancaster CA Invisalign and Invisalign Teen provider, offering treatment with clear aligners for a wide range of dental health and cosmetic concerns. Invisalign offers a comfortable and discreet way to achieve a confident new smile for both adults and teens. The system will gently and discreetly reposition your teeth in a little over a year, with little impact on your daily activities. Invisalign has become a popular teeth-straightening alternative to the metal braces and headgear. Traditional braces can be uncomfortable when installed and maintained, cannot be taken off until treatment is finished, limit what foods the patient can eat and may make some feel even more self-conscious about their smile. With Invisalign patients can still enjoy their favorite foods and maintain good oral hygiene. The aligners are designed to be worn for about 22 hours a day and won’t irritate the gums or sensitive areas of the mouth. They are simple to remove when you need to clean your teeth or when it’s time to swap them out based on your treatment plan. Even though our teeth are usually set in place by adulthood, that does not mean you are too old or it’s too late to consider orthodontic treatment to straighten your teeth. Many adults have used traditional braces or Invisalign to achieve their desired results. Invisalign can be used to treat mild to moderate orthodontic issues. It is also commonly used to correct minor tooth movement after previous orthodontic treatment. Invisalign can also treat underbite, overbite, and tooth spacing concerns. Straightening crooked or overlapping teeth is more than a cosmetic concern. Crooked teeth are more prone to damage and decay which may eventually lead to more serious oral health issues. Serious overbite and underbite issues can also affect dental health by changing the stability of your bite, causing your teeth to wear unevenly. Also, teeth that are aligned properly are easier to brush and floss, reducing your chances of decay and plaque buildup and the problems they bring. You deserve to feel confident when you smile! If you’re ready to treat your smile, schedule a free one-on-one consultation to create your unique treatment plan and discuss budget options. 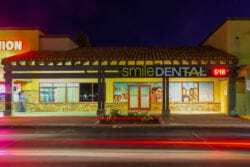 Smile Dental Group takes a modern, digital approach to smile design. Whether you are receiving a full smile makeover or addressing a specific problem like crooked teeth, we use state-of-the-art dental technology to plan your ideal treatment. As your leading Invisalign provider in Antelope Valley, we can address a wide range of orthodontic concerns and cosmetic issues using Invisalign clear aligners.We work with a variety of patients and budgets, so don’t hesitate to contact our West Lancaster office today at 661.383.0186 or schedule a consultation online.